Marc and Greg are joined by 2 special guests, Voltron Fan Artists Mel and Zilla, as well as dozens of Voltron fans who sent in their own audio or notes. We thank everyone who supported us in 2017 and we get sprinkle in special 4th Anniversary greetings from a few voice artists from Voltron Legendary Defender. Our special 4th Anniversary Banner was created by Mel (That_Meiko_Girl). 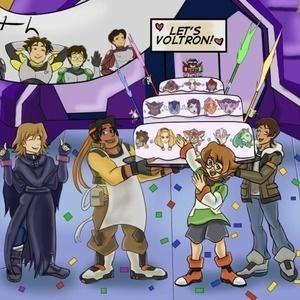 Big Thank you to Mel for creating our 4th Anniversary Banner, which includes the Voltron Legendary Defender team, the original Voltron: Defender of the Universe team, the Voltron: The Third Dimension Team, and the Voltron Force team. There are a total of 47 characters from the 4 shows, including the Space Mice (check the candle rockets!). Thank you, Mel! Of course, Zilla had designed our 3rd Anniversary Banner, and she designed the promo materials and prize packs for Shironanigans in 2017. Zilla is a treasured artist, friend and fan favorite! Thank you, Zilla! 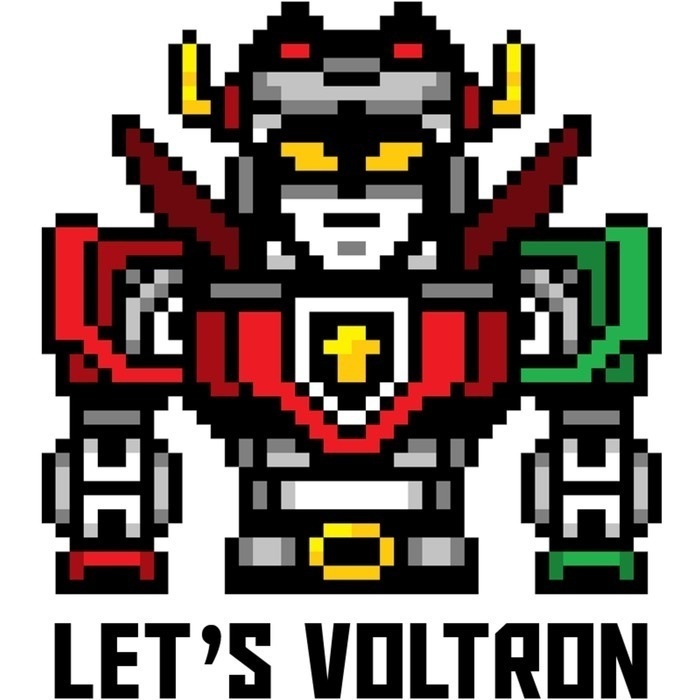 Big thank you to all the fellow Voltron fans who contributed to this podcast and shared their thoughts about the podcast, Voltron Legendary Defender, and what they would like to see and hear in the future on Let's Voltron: The Official Voltron Podcast. Thank you all! As we said, in this celebration, we point out everyone who made 2017 special for us here at Let's Voltron Podcast. We can't do it without everyone's contribution! You are all amazing people, and we are all stronger as a fandom for having you together with us! 30% OFF EVERYTHING on our TeePublic Store. Between December 27th and January 2nd. You can get great savings on all of our products with special designs from Zilla, Elentori, and Blacky Shepherd. You can get these great designs on pillows, t-shirts, hoodies, mugs, phone/laptop cases, notebooks, stickers, totes, tapestries, and many more! Thank you for sharing that with us, Susana! As we look forward to 2018 and Season 5 of Voltron Legendary Defender on Netflix, we'd like to wish a Happy New Year to the Voltron Universe!